Now that Jane Jacobs is back in the news, with an exhibit at the Municipal Art Society, Jane Jacobs and the Future of New York, we should look forward to a lot more research into her life. It will soon be supplemented by two scholarly books about her and her era. And someday a long-lost portrait of the urbanist by Robert Moses biographer Robert Caro should surface. 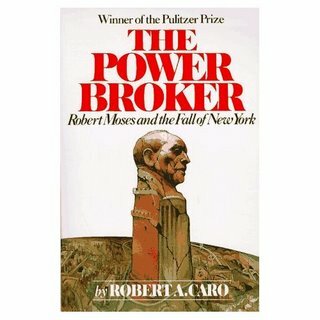 Caro's The Power Broker contained not a whit about Jacobs. Indeed, as co-curator Christopher Klemek points out in the book accompanying the new exhibit, Moses and Jacobs were hardly longtime adversaries and contemporary public figures only briefly. (Much of Moses's work came before Jacobs entered the public fray.) Moses comes up only six times in the index of Jacobs's 598-page The Death and Life of Great American Cities. Still, they were involved in a big fight over the Lower Manhattan Expressway and are often discussed as major figures representing different paths in the city's development. In May, I observed that "The Power Broker, Robert Caro's monumental biography of Robert Moses, oddly omits any mention of Jane Jacobs, now thought of as Moses's polar opposite, and the successful citizen protest against Moses's 1950s attempt to run a highway through Washington Square Park." I got a response from Ina Caro, the author's wife and research assistant, via his lecture agent, who wrote, "Over 30 years ago, when she typed the original manuscript for The Power Broker, there was a wonderful chapter on Jane Jacobs--as good, she thought, as the one on the Cross Bronx Expressway. Unfortunately, when the book was handed in it was one million words long and had to be cut by a third -- 300,000 words. Entire chapters were cut. One on the Brooklyn Dodgers and Moses, one on the Port Authority, one on the city planning commission, one on the Verrazano Narrow Bridge and one on Jane Jacobs. She hopes those pages are still in storage and can be read someday when a library acquires Mr. Caro's papers." In other words, Caro, no slouch at research, didn't ignore this angle. That's a trove of material that should surface someday. Beyond the portrait of Jacobs, the chapter on the Dodgers should be especially interesting as well, given the enduring debate about whether Moses was responsible for the Dodgers' departure or, as scholars say, Moses merely reflected a consensus against public subsidies for sports facilities at that time. Given that The Power Broker has been reprinted umpteen times, I'd love to see future editions add a bibliographical note briefly describing the missing chapters. That would relieve future readers from some measure of wonder. Klemek is revising his dissertation on urban renewal into a book. He's carved out several articles about Jacobs, including an intriguing piece about how Jacobs, whose ideas were seen as radical in the United States, was far closer to the mainstream in Canada, the U.K., and West Germany. Also, scholar Laurence, whose research into the Rockefeller Foundation archives highlighted the foundation's significant support of scholarship regarding urbanism and Jacobs, is working on a book. Wow, I'd love to read the "missing third." Given the popularity of The Power Broker, I think it'd be popular as a supplement to the book. Or if they don't think they can sell it, then put it on the web for free! Norman, you're amazing! What a treasure trove of information about Jacobs! I've always thought (but never thought to write to Caro or his associates about it) that Caro had originally written a chapter, or more, about Jacobs and that it eventually had to be cut. I forget where I’ve read it, but I think a number of sources have said that the original "Power Broker" manuscript was much, much longer -- perhaps as much as twice as long? -- and that his publisher made him cut it. So I assumed that the Jacobs chapter, along with things like a fuller explanation of the situation with O’Malley, etc., had to be cut. Plus, if I remember correctly, even Caro himself wrote or said somewhere (maybe it was at the talk he gave last spring at the Museum of the City of New York that I attended?) that his publisher told him that they wouldn't do a two volume biography of Moses because two volume biographies were not (at least then) financial practical. So I too have thought that, now that the book has become an established classic (and a perennial obligatory purchase for many college courses, so it seems), its publisher now has the luxury of coming out with a two-volume thirty-fifth anniversary "author's edition" of the original manuscript -- which I assume would be purchased by people like me (whose original paperback copy has totally fallen apart), most public libraries, and a great many others who have now become a ready made market for the full story. Also, thanks for the link to the reviews (which I haven’t gotten to read yet) of the Alice Sparberg Alexiou bio of Jacobs and the info about the new planned Jacobs biographies (which I didn’t know about). I purchased the Alexiou bio of Jacobs and found it disappointingly skimpy (most of the info seemed to be readily available elsewhere -- just scattered). But I also assumed that this project was an oddly difficult project to begin with, as Jacobs choose not to cooperate and my guess is that there probably are not that many alternate sources of information about her. (While Jacobs is famous, she’s not that famous. So unlike the situations with celebrities like Frank Sinatra or Elizabeth Taylor, I assume that there are not that many people out there who’ve been paying enough attention to Jacobs for there to be much in the way of alternative sources of information for an unauthorized biographer.) So it will be interesting to see what these other biographers come up with. I also strongly disagree with a number of Alexiou’s assessments regarding Jacobs work. It seems to me that Alexiou, who comes from a different field entirely, has only a superficial understanding of Jacobs work (and urbanism in general) and therefore relied too heavily for her opinions about Jacobs on the thoughts of a narrow spectrum of thinkers in the field. It was as though she had done a biographer of B.F. Skinner (the behaviorist) and had based her opinions of his work mainly on what she had been told by psychologists coming from a Freudian perspective. I ran across the on-line version of Klemek’s dissertation last spring, but am unfamiliar with Laurence’s writings. One possible interesting angle that none of these author’s seem to have addressed yet (perhaps Laurence has, but I haven’t run across it) is the fact that -- and I admit that I may be mistaken here, and maybe it isn’t a fact at all -- Jacobs herself has bad mouthed both the Rockefeller Foundation in general and David Rockefeller personally in her writings and interviews. If I am remembering correctly, Jacobs criticizes (almost ridicules?) some of the initiatives of the Rockefeller Foundation in her later books (including, perhaps, the “Economy of Cities”?) and has said in an interview (or interviews?) that David Rockefeller was one of the main villains -- maybe even the main villain -- behind a) the plan to clear her neighborhood, b) the Lower Manhattan Expressway and c) the World Trade Center. While David Rockefeller’s support of the Lower Manhattan Expressway and the World Trade Center are well-known, I think the only place I’ve ever read that he was supposedly behind the clearance of the West Village was in a Jacobs interview (e.g., the Kunstler interview?) or interviews. But, then again, not only may I have misremembered these comments, perhaps there are a number of different Rockefeller foundations and I have gotten them mixed up? P.S. -- Also interesting to see Anthony Flint's comment that his book on Jacobs and Moses will be published by Random House (which is, of course, Jacobs' own publisher). Perhaps this is something that he can't get into, but if he can, it would be interesting to learn how and why he was able to get the support of Random House while Alexiou said in her book (if I remember correctly) that Jacobs asked Random House not to cooperate with Alexiou in the writing of her biography of Jacobs. Also, I'll have to check out the post on PLANetizen, but I wonder what angle the book on Jacobs and Moses will have, since the personal angle is so lacking (with Jacobs and Moses never really dealing with each other directly). I hurriedly skimmed your original post, Norman, so please forgive my not noticing that you said that only one-third of the Caro's manuscript, not the one-half that I had thought, had been cut. Also, I now see that in his comment on your post, grvsmth made a suggestion similar to mine. Here's are brief "reviews" of the reviews of the Alexiou bio of Jacobs. Since Marshall is from the Regional Plan Association, I suspect that 1) he is not likely to be much of a Jacobs fan to begin with (as Jacobs apparently had a great disdain for the RPA approach) and 2) he is likely to be pretty ignorant about things that are rather well known among Jacobs'admirers. So it seems to me tht he is too easily impressed by the Alexiou biography of Jacobs. It's also interesting to note that this RPA review of the book seems, at least to me (who's not a fan of the RPA), to overdo the similarities between Mumford and Jacobs and to underplay their very significant (so it seems to me) professional differences of opinion. His review seems to contain more specific and detailed info about Jacobs than the Alexiou book, and therefore seems to be actually kind of generous to the Alexiou book. It will be interesting to see what his book is like. Newark arena police costs--a benchmark for AY?